Barcelona will not be allowed to sign any players in 2015 after their appeal against a transfer ban was dismissed by the Court of Arbitration for Sport. The Spanish club was handed a 14-month ban in April after being found guilty of breaching Fifa’s rules on the transfer of players aged under 18. 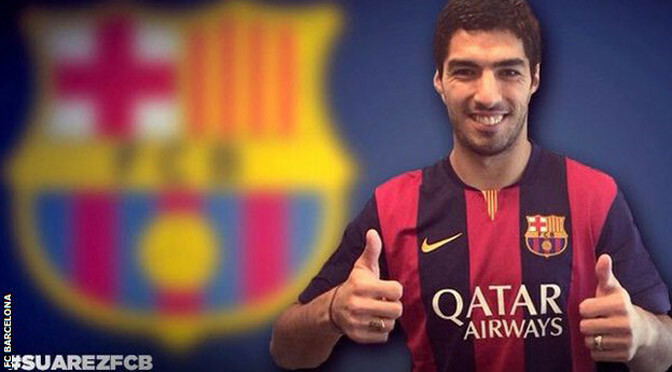 Fifa rejected an appeal in August but the pending appeal to Cas allowed Barca to sign players including Luis Suarez. 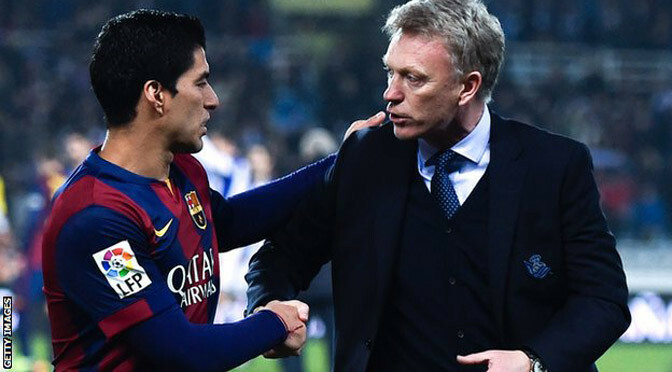 Barcelona has expressed its “utter nonconformity with the resolution”. 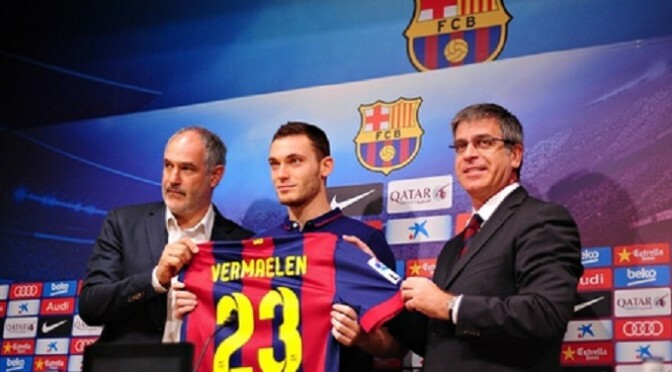 The players concerned in the infringement of Fifa rules were registered and participated in competitions with Barcelona between 2009 and 2013. Cas said: “The panel found in particular that FC Barcelona had breached the rules regarding the protection of minors and the registration of minors attending football academies. 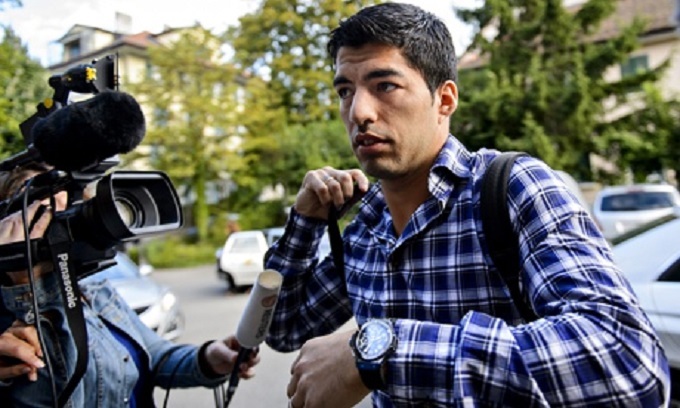 “Accordingly, the Fifa decision is confirmed in full and the sanction remains in force. A Barcelona statement added: “The errors that the club might have committed, and which have been recognised and argued before the corresponding authorities, are, in all cases, of an administrative nature and to a large extent have been caused by the existing conflict between the Fifa regulations and Spanish legislation, along with the club’s conviction that it was acting correctly. Barca went on a summer spending spree this year while the suspension went on hold during the appeals process, splashing out more than 150m euros (£117.5m) on Suarez, Ivan Rakitic, Marc-Andre ter Stegen, Thomas Vermaelen, Claudio Bravo, Jeremy Mathieu and Alen Halilovic. Lionel Messi became the record Champions League goalscorer and Luis Suarez opened his account for Barcelona as the Catalan giants cruised to a 4-0 win over Apoel Nicosia. Suarez put Barca ahead with his first goal for the club since his £64million summer move from Liverpool before Messi took centre-stage with a hat-trick – all with his less-favoured right foot. The first of those saw him break former Real Madrid striker Raul’s tally of 71 to make the Argentina superstar the leading scorer in the competition’s history. It was the second notable scoring record that Messi had broken in the space of three days, with the 27-year-old having also become the all-time leading Primera Division marksman at the weekend with his hat-trick against Sevilla. 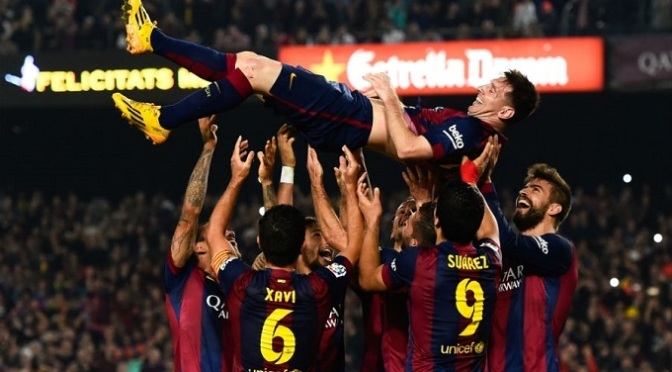 That treble moved Messi onto 253 La Liga goals and broke Telmo Zarra’s 59-year-old mark of 251. As well as being a memorable night for Messi and Suarez, the victory keeps Barcelona in with a chance of pipping Paris St Germain to top spot in Group F.
Both teams had already qualified for the last 16 but PSG stayed a point clear of Barca with their win over Ajax. Messi moved level with Raul’s European record with a brace in Barca’s previous match at Ajax, and he could have broken it inside three minutes on Tuesday only to see APOEL goalkeeper Rafael Urko do well to block his effort. Messi was running the show early on and he set up good chances for Suarez and Jordi Alba, neither of which were taken. It was Suarez who made the breakthrough, though, and in the process get on the scoresheet for the first time in Barcelona colours. The Uruguay international created the chance with a superb bit of skill to turn his marker on the edge of the box and he beat Urko with a side-footed finish, albeit with the aid of a deflection. That was in the 27th minute, and 11 minutes later Messi made it 2-0 and secured himself yet another spot in the history books when he stuck out his right foot to deflect Rafinha’s shot into the net. Dominant Barca picked up where they left off after the break and Pedro Rodriguez almost made it 3-0 with a low drive in the 51st minute. A third goal was not much longer in arriving, however, with Messi moving onto 73 Champions League goals in 91 games when he picked up Dani Avles’ pinpoint pass into the area and dinked a shot in off the far post. Further Barca goals looked on the cards, but it was actually APOEL who came closest to netting next with a Tomas De Vincenti effort that produced a superb one-handed save by Marc-Andre ter Stegen. The home side then received a further boost when Barca forward Rafinha was shown a second yellow card with 20 minutes to go, but the dismissal did little to change the flow of the game with Luis Enrique’s visitors still looking to attack. Suarez was denied his second by the feet of Urko before APOEL lost their numerical advantage when Joao Guilherme picked up his second booking for a foul on Pedro in the 84th minute. All that was left after that was for Messi to notch up yet another hat-trick, the Barca captain knocking home Pedro’s cut-back to cap a record-breaking evening for the Catalan outfit. Barcelona’s Lionel Messi broke Telmo Zarra’s all-time La Liga goal-scoring record of 251 goals with a hat trick in the 5-1 win over Sevilla. Messi opened the scoring on 21 minutes to equal Zarra’s feat before netting again on 72 minutes to make it 252 Liga goals in 289 appearances and take him beyond the former Athletic Bilbao forward. The key goal was a sliding tap in with his right foot from Neymar’s cross and Messi, 27, was subsequently congratulated by his team-mates and the crowd. 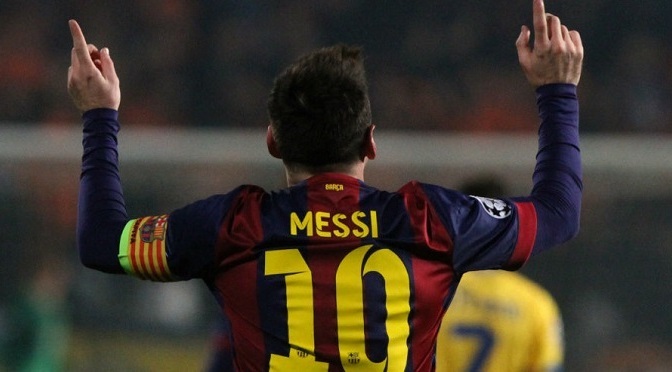 He then completed his hat trick with 12 minutes remaining, meaning his total now stands at 253 Liga strikes. Barcelona’s 5-1 win against Sevilla took them back to within two points of Liga leaders Real Madrid, who beat Eibar 4-0 earlier in the day. David Luiz produced a man-of-the-match performance as Paris Saint-Germain beat Barcelona 3-2 at the Parc des Princes to go top of Group F.
Barcelona coach Luis Enrique had picked Jeremy Mathieu to partner Javier Mascherano at the heart of a defence that had not conceded a goal in their previous seven matches this season. But without the height and reassuring presence of Gerard Pique, they conceded their first goal in 11 hours and 21 minutes of football as Luiz turned Mascherano in the box to score following a Lucas free-kick. Barcelona hit back within two minutes, a brilliant one-touch team goal finished off by Lionel Messi as the Argentine netted his 68th goal in the Champions League. The French champions went 3-1 up through goals from Marco Verratti and Blaise Matuidi, and Neymar’s 56th minute strike set up a great final third of the match. But Barcelona could not break down a PSG defence superbly marshalled by Luiz, as the French champions extended their unbeaten home record in European football to 30 matches. Luis Su¡rez has been cleared to make his debut for Barcelona on Monday after being allowed to train with his new team-mates and play in friendlies. Although the court of arbitration for sport (Cas) has upheld the strikerâ€™s ban and fine for biting the Italy defender Giorgio Chiellini during the World Cup, Su¡rez has won a victory of sorts after the punishment was softened. The 27-year-old remains ineligible to play in competitive matches during the four-month ban period, and his nine-game international suspension stays in place, but he will participate in training on Friday. Su¡rez, who has been forced to train alone in a hidden area of Catalonia, can also now, belatedly, be presented as a Barcelona player when the club take on Mexicoâ€™s Club Le³n in a pre-season friendly at Camp Nou. â€œThe sanctions imposed on the player by Fifa have been generally confirmed,â€ Cas said in a statement, meaning the earliest the striker can return for Barcelona in a competitive fixture is 26 October when, as fate would have it, the club face Real Madrid at the Bernab©u in the firstcl¡sico of the season.